Driving is the only dangerous thing most people do every day, and it takes a certain skill level to navigate today's dangerous roadways. As the parents of teenagers, John and Terry Gatesman know first hand the dangers young drivers face every day on the road. That's why they opened SafeWay Driving Oak Ridge to better serve the Woodlands area by providing the best behind the wheel training combined with industry-leading online courses. John, Terry and their team are committed to preventing “The Phone Call” that nobody wants to receive by providing the best driver training in the Woodlands area. Provided services include driver education and training for teens, adults, and corporate drivers. Whether you are a teenager looking to get your permit or a driver relocating to Texas, there are services to cover your driving needs. 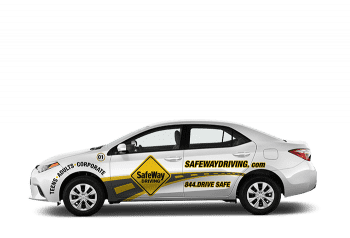 Training is offered through both online safety courses and behind the wheel instruction delivered in a SafeWay Driving vehicle. Driving appointments take place 7 days a week oon designated routes around The Woodlands area. 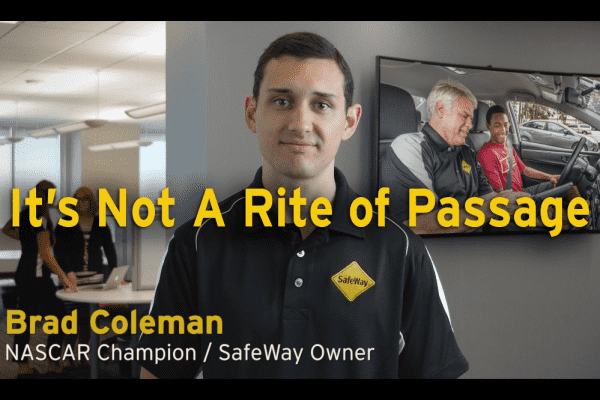 The entire team at SafeWay Driving Oak Ridge realizes that driving is about more than just getting your license; it is about committing to safe choices and habits every time you get behind the wheel. Take your drivers ed with SafeWay Driving Oak Ridge and Arrive the SafeWay! SafeWay Oak Ridge High School is owned and operated by John and Terry Gatesman, long-time residents of the Woodlands community. John, Terry and their team are committed to preventing "The Phone Call" that nobody wants to receive by providing the best driver training in the Woodlands area. Take your driver training seriously, and take it at SafeWay.